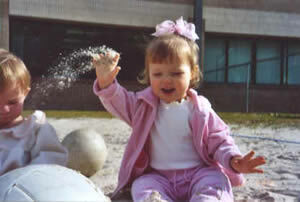 Catie was diagnosed with medulloblastoma, a brain tumor, on her first birthday, September 26, 2003. She endured 11 surgeries, 36 months of chemotherapy, and 30 radiation treatments. Catie fought the good fight but was lovingly welcomed into the arms of the Father on January 19, 2007. Catie brought a smile to the face of all who met her. You should have seen the twinkle in her eye and the enormity of her spirit. We know that she is free from all disease and pain as she runs and jumps down the streets of Heaven with her golden curls bouncing behind her. She will be always missed. Katherine was a special little girl from the moment she was born. We noticed her amazing smile after she was just a few weeks old. She started talking very early and remained a little chatter box until her last week of life. Katherine's favorite thing to do was to play with her big brother. She would do anything he wanted to do. One of my favorite memories is of Katherine and Nathaniel having a light saber fight in our kitchen. Katherine could not walk due to the tumor location. However, she scooted around on her bottom trying to whack her brothers light saber. She never let anything slow her down. She took whatever happened in life and made the best of it. We could all learn a few things about living from her example. 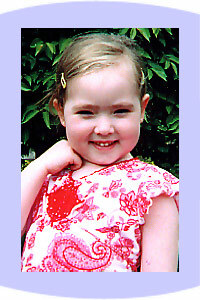 Unfortunately, we found out Katherine had a pontine glioma in July, 2003. Her Dad and I took her to several hospitals and researched options. However, after 3 months of chemotherapy and conformal radiation, Katherine died on July 15, 2004. Our entire family misses our "little bee". This is short for princess bee. This named just seemed to fit her. 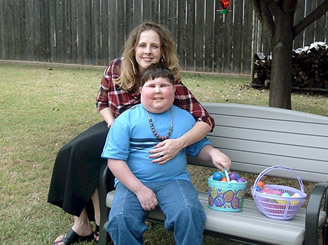 "Our little hero, God's little angel"
Zachary was diagnosed June 8, 2002 in Lubbock, TX with a Pontine Glioma. He was only 8 years old at the time. We were then sent to Texas Children's Hospital for further treatment with Dr. Susan Blaney. Zachary underwent 6 weeks of radiation along with an experimental drug called Iressa. This was taken orally. The radiation shrunk Zach's tumor 34% and he stayed stable for several months during which time he had to be taken off of the drug due to blood work. 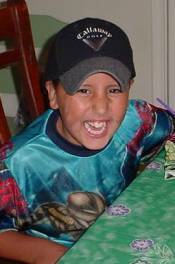 In April of 2003 Zach started having symptoms again and we were sent back to Houston for an MRI. The MRI indicated rapid tumor growth. Zach was then put on another experimental treatment plan using Irinotecan. He already had as much radiation as he could have so he was only able to take the medication thru an IV. They inserted a port to make drawing blood and giving him the chemo a whole lot easier. With this drug, Zach started having problems with diarrhea and was hospitalized for dehydration and infection. After 4 weeks it was time to do another MRI and this time it showed more tumor growth and therefore the experimental chemo was stopped. We were sent home on August 4, 2003, told there was nothing left to do. How could this be? We can't lose our baby boy! We went home and around the middle of August we had to call in Hospice. Zach's symptoms worsened daily. 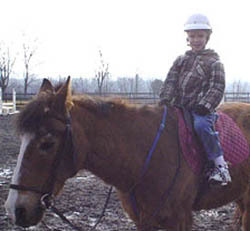 Then on September 14, 2003 our little Zach passed away in my arms surrounded by his loving family. We all miss our sweet Angel but what keeps us going from day to day is the promise of being reunited with him in Heaven for eternity. 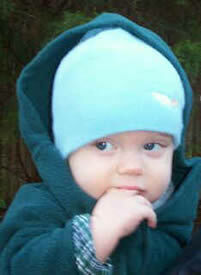 Zachary was such a brave little boy never complaining about anything not even the pain he had to endure for 15 months. Zachary was and still is a hero to all who knew him and such an inspiration to us all. From the moment Kennedy was born, he changed my life. With his smile, his heart, and his love for God. Just at the tender age of 9 he changed more people, and hearts than some do their entire adult lives. We don't refer to Kennedy as gone, or lost, cause we know where he is today. He is with Jesus in Heaven and he awaits as we do the day that we are all reunited. God Bless you son, yes, you are missed and certainly loved, but someday we will see you again. Praise The Lord!!!!! Navada died on Easter Sunday of a hemorrhagic stroke. She was surrounded by her family and died peacefully in her daddy's arms. Sam became an angel on September 12th, 2006.